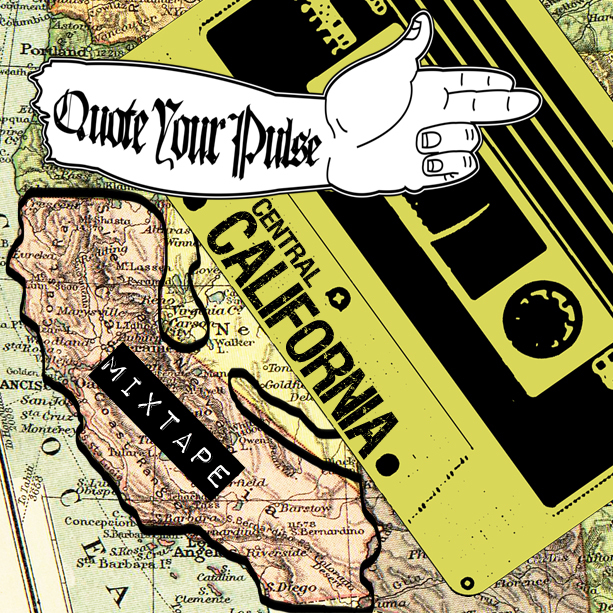 “Central California Mixtape” furthers the label’s mission by featuring acts from valley cities like Modesto, Sacramento, and Fresno, but also smaller towns like Santa Nella, Oakdale, Hilmar, and more. “Quote Your Pulse has been great for local music,” said Dustin Andrews, vocalist/guitarist for Every Atlas and Of Us Giants, two bands featured on the compilation. “There is a new sense of community. It used to be we’d play shows and our fans would be bored because they didn’t like or know the other bands we played with. Now we play shows with bands they have heard of, and we know they are going to have a good time, listening to good music,” said Andrews. “My hope is ‘Central California Mixtape’ helps music fans find their new favorite band or song,” said Jennings. Quote Your Pulse has been supporting musicians since 2009, initially by booking and promoting shows and concerts. The label now offers additional support through record releases, merchandising, and networking opportunities. Leave your questions and comments below!